magnifier by triple tapping your Home Button. in our daily life like camera, calculator, flashlight, stocks and more. can use your iPhone as a magnifying glass. Magnifier of iPhone lets you use your iOS devices camera to quickly magnify things. 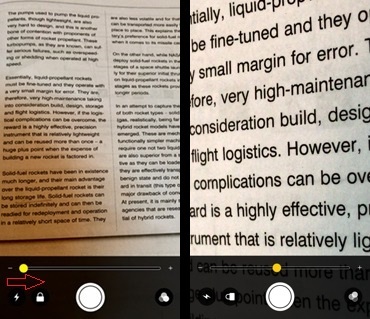 Similarly you can enable flashlight, photo filters from the magnifier. If you have any object and want to use magnifying glass then you can use your iPhone as a magnifier only from iOS 10 or later. To start magnifier, and quickly magnify any things triple click the Home Button of your iPhone or iPad. Step 2# Tap General & Select Accessibility. Step 3# Tap Magnifier and toggle on the switch. Step 4# After you have done, triple press your Home button. There you can see many options like zoom in out, photo filters, flashlight and more. things you need with quickly and easily. Share it if you like and don’t forget to follow iMangoss on Social Networks like Facebook, Twitter, Google+, or RSS for more updates.